Forestkeepers toured the Giving Grove, a nonprofit in Kansas City dedicated to improving local food security and strengthening communities by bringing together the resources to develop edible tree gardens. 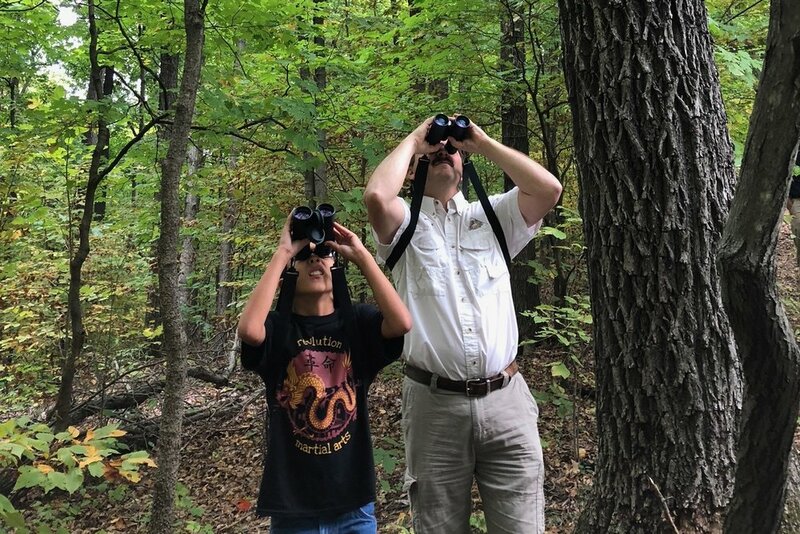 Forestkeepers spent the day hiking through Engelmann Woods Conservation area to learn about Forest Management and its effect on birds. They were joined by three members of the Audubon Society who helped find and identify birds during the hike. Forestkeepers enjoyed the 10th Annual Chestnut Roast, a festival that celebrates agriculture, forestry, and sustainability through research and education.